Magnifying glasses have been around for many years. This principle is used in a magnifiers, glasses and microscopes. 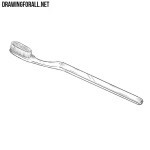 But today we will show how to draw a magnifier – an optical system for magnifying small objects. 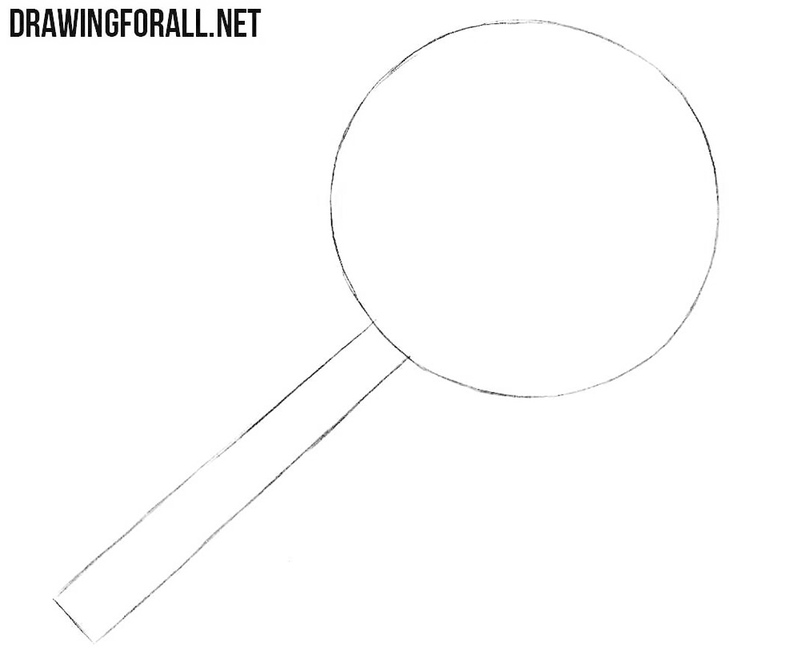 First of all, we sketch out the main outlines of the magnifying glass – this is a large circle and a handle in the form of a long rectangle. 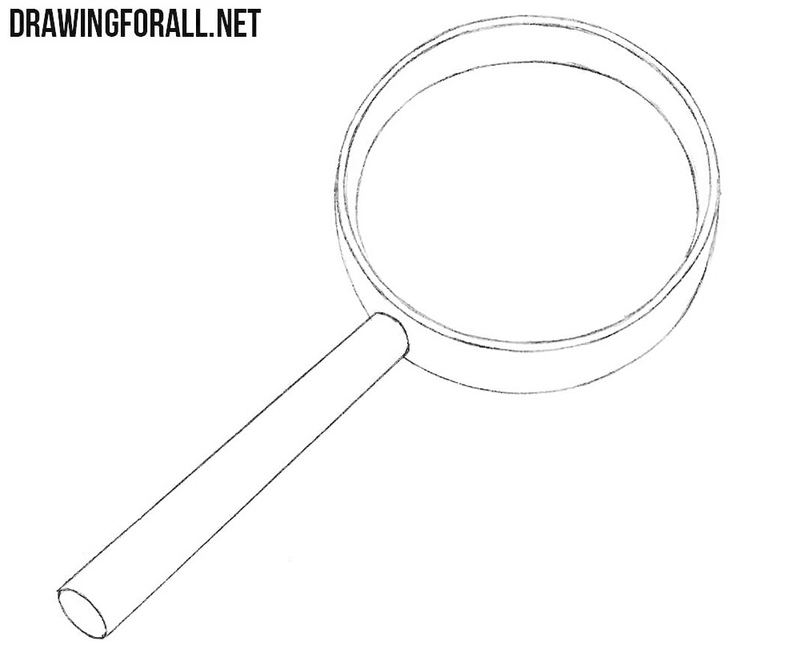 On the surface of the magnifying glass draw the outlines of the lens with a pair of rounded lines. 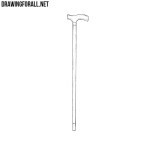 Draw a round bottom face of the handle. 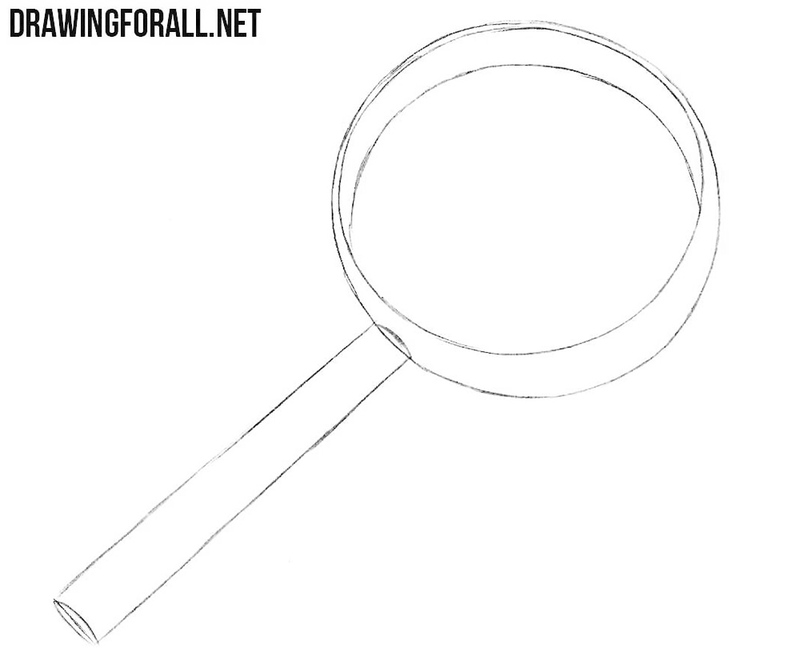 The most simple step of the tutorial on how to draw a magnifying glass. 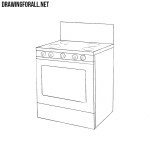 At the step number three we will remove unnecessary lines. Using a pair of long lines, we outline the glare on the lens. Next, with the help of a dense hatching draw shadows on the magnifier. 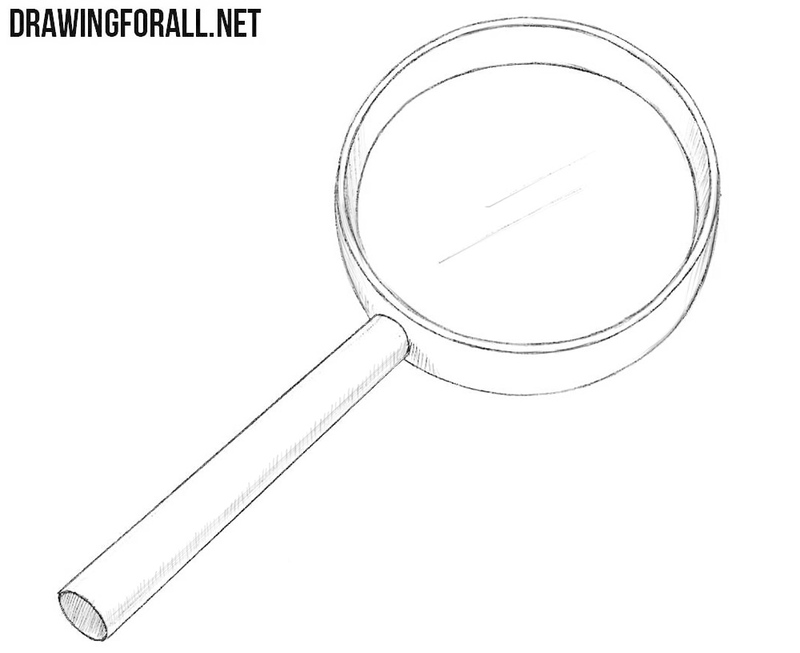 This is one of the fairly basic drawing lessons that can be useful for schoolchildren, students, or any other person who wants to learn how to draw a magnifying glass. 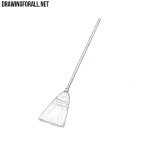 By the way, in the category “Misc” on our site you will find many other items that will be easy and quick to draw. And also, if you want to have simplified versions of this and our other lessons on your phone or computer, visit our pages on Pinterest and other social networks.